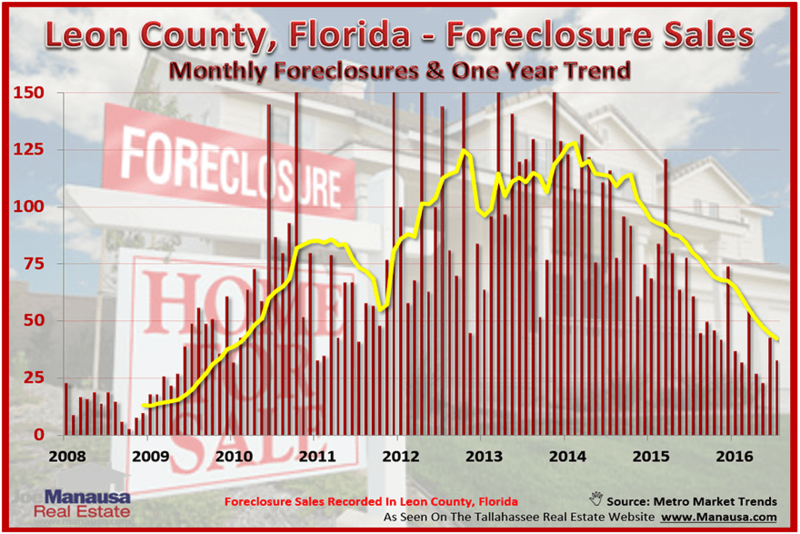 During the first 15 years of my career, we saw so few foreclosures in Tallahassee that I did not really bother tracking them at all. Our stable economy and consistent appreciation had traditionally been the perfect recipe for keeping distressed properties from our normal offering of homes for sale. But the collapse of the housing market in 2006 changed all that. If you did not see our recent Weekly Special Report, you might want to give it a quick review. It's only one page and it provides some insight on the formation of new foreclosures in Tallahassee. Today's report compares new lis pendens filings (the start of the foreclosure process) with foreclosure sales (the ultimate end of the foreclosure process). 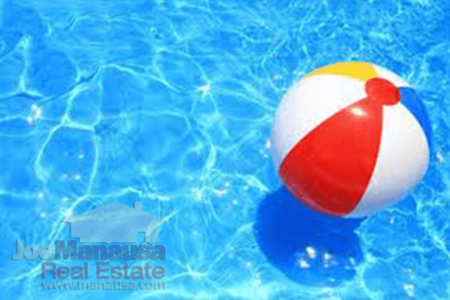 If you came here hoping to see foreclosure homes for sale and do not really care so much about the distressed properties market condition, you can click on any of the following links to find all of the distressed properties in Tallahassee. Our first foreclosures graph below shows the number of foreclosure sales that have occurred each month, while the yellow line tracks the average number of foreclosure sales each month for the past year. The peak of the foreclosure sales market occurred a little more than two years ago, but the number of foreclosed homes have been falling off fast since that time. 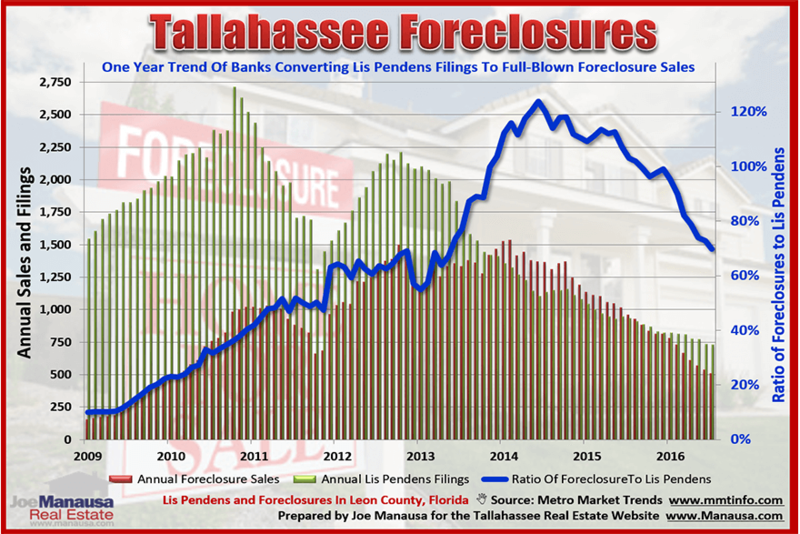 Currently, Tallahassee is recording about 40 foreclosure sales each month, and that number is still falling (though the rate is slowing). This next graph compares the number of foreclosure sales each month with the number of new foreclosures filed (lis pendens). The green lines show the total number of lis pendens filed for the past year, while the red columns record the number of foreclosure sales, both are measured against the left vertical axis. The ratio of foreclosure sales to new filings is shown as a blue line and recorded on the right vertical axis. If you track the blue line in the graph above, you can see that at the beginning of the housing market recovery in 2008, only 14% of lis pendens resulted in a foreclosure sale. That means roughly 86% of people who were served with a notice of foreclosure were able to do something other than lose the house to foreclosure. Historically, people who got behind on their mortgage simply sold their homes and collected the equity. Our market typically appreciated 3.5% per year, so foreclosure sales were rarely needed as a remedy to loan defaults. 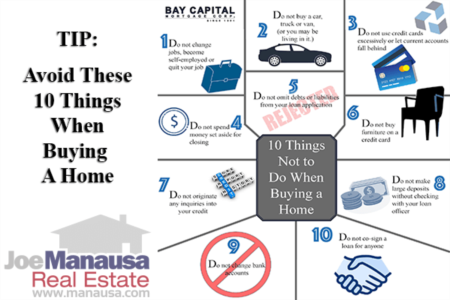 But the collapse of the market brought about significant declines in home values, and most people lost more equity than their homes even possessed, thus the number of solutions available to distressed home sellers was reduced to short sales and foreclosures. Even through 2013, short sales were the solution of choice for most sellers, as it had (and still has) a far softer impact on the homeowner's credit than does a foreclosure. But the scale of the collapse was so large that banks could not respond fast enough and many homes ended up going to a foreclosure sale. By late 2014, the number of foreclosure sales exceeded the number of new lis pendens filings, and we did not see that reverse until early this year. Home values are on the rise again, so struggling homeowners who can hold-on might very well regain an ability to sell the home and completely satisfy all debt on their properties. I suspect 2016 might be the last year of the Mortgage Debt Forgiveness Act and perhaps short sales will go the way of the Dodo. The distressed properties market in Tallahassee still is a fairly large segment of all home sales with roughly 14% of homes sold being bank owned properties, short sales, pre-foreclosures, etc. The segment will continue to decline, but we will not see them disappear for several more years (disappear = fewer than 5% of the market). Many of the loan work-out programs were solutions with a time span of 3 to 7 years. That means somebody who did a work-out on their loan in 2012 might be facing their problem again as late as 2019, so expect to see the falling trends in the graphs above to begin to decline at a much slower rate. The availability of developed lots is thinning and the cost to develop new lots is "through the roof." Ultimately, when more homes are needed in the coming years, they will be (and currently are) so expensive that they will pull existing home values higher.